A powerful visual metaphor as a hook on which to hang the key points about this telecom company’s finance division. 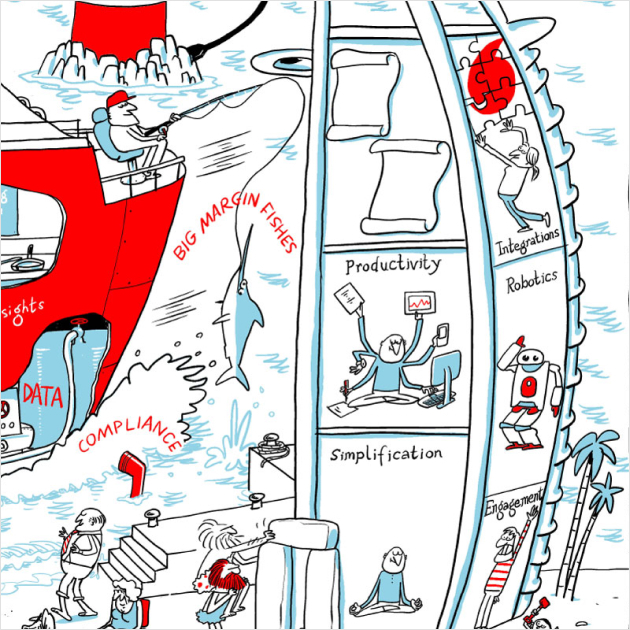 We worked with the stakeholder group to depict the various components of finance operations and controls as a ship sailing around the world. This image went through various iterations to arrive at the final result, which creates an engaging and fun picture to let viewers explore the messages and understand the variety of departments and people that must come together to sail the company smoothly through often choppy waters.